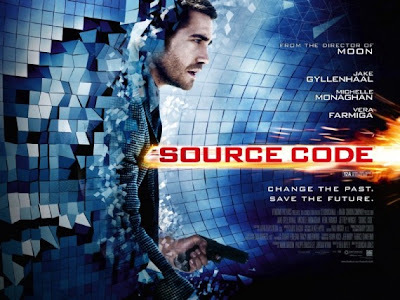 Duncan Jones Source Code is due to hit theaters April 1st and another poster has been revealed via Empire. The first poster seemed to imply Jake Gyllenhaal was under attack from a Xerox machine. Confused? Check out the trailer. I'm reading: NEW POSTER DEBUT FOR DUNCAN JONES' [SOURCE CODE]Tweet this!